How to select your Segments? 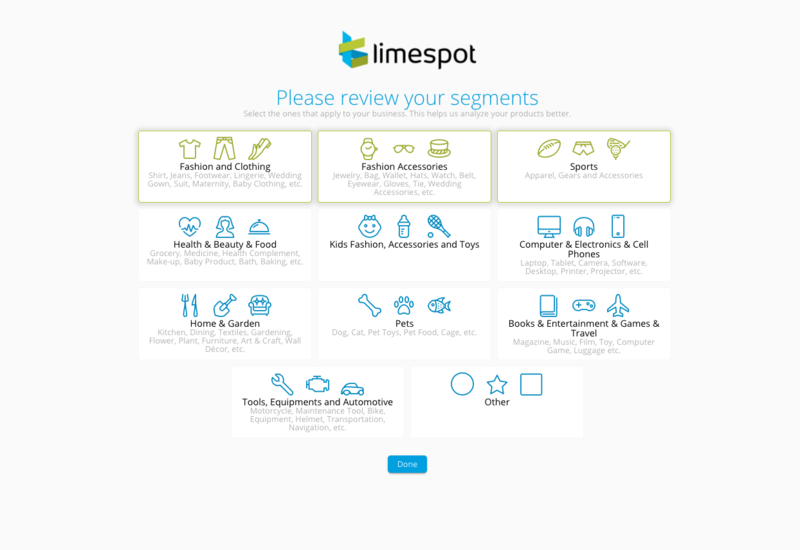 Select the 'Segments' of your products based on the industry they are in. If you have multiple categories, you can pick multiple segments. Tip: If you are unsure of which category your products are in, the more segments you click, the better.